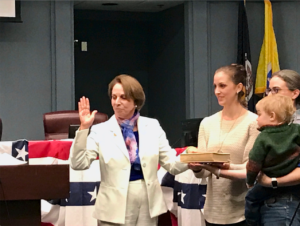 I had the honor of being sworn-in today for my second full term on the Arlington County Board. Below is a link to watch the ceremony, and the transcript of my remarks follows. Thank you to everyone who was able to join us, and to all of you for your support. Thank you, everyone, for coming. It means so much to see you all here. I want to add special thanks to the people who made today possible: our County Board staff for setting up the room and reception for us. Thanks to my four County Board colleagues for serving Arlington along with me, and an extra thanks to Christian Dorsey, our master of ceremonies. Thank you to our Combined Color Guard and Mayarí Loza for helping us honor our country so beautifully, and to our Poet Laureate, Katherine Young, who wrote that beautiful poem just for today. What an honor! Thank you to Electoral Board Chair Charlene Bickford, and Clerk of the Court, Paul Ferguson, for making our ceremony legal and memorable. A personal thank you to my family, my daughters Shannon and Ruth who have been with me through 20 years of public service now. I’m so grateful to them and my late husband Kennan. Elected service takes a toll on families and it is important to recognize and thank them. My family has made my public career possible. And I can’t forget to thank my five grandchildren for leading us in a very special Pledge of Allegiance! 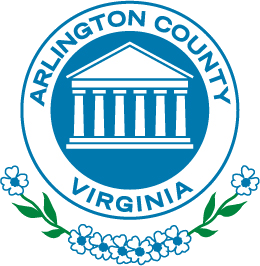 Mostly, I want to thank and recognize all of you, the residents of Arlington and our County staff. You make our wonderful community what it is. You make today possible. In a democracy, our citizens and our staff are the ones who do the bulk of the work. I love the quote from Ben Franklin in our program, “A republic, if you can keep it.” That quote has long been a personal favorite of mine. It serves as a reminder of the important role that we all have. We’re here today to celebrate democracy and our community in a time of uncertainty for our nation and, indeed, the world. We have local challenges, too. Our commercial vacancy rate is too high. More and more people want to live here, so we need more school space and our housing supply is stretched and getting more expensive. But as we work through our challenges we must never forget that we have what we need most for success: our people. Our community is one of the most involved, hardest working, and best educated in the country. Our work force, our great schools, our location, and dynamic community draw more and more educated, talented people here every year…and that is the key to our success. Arlington will continue to prosper and succeed by connecting our people, embracing new ideas, and unlocking the potential we have. To help us get to that day, we have both a business and a resident ombudsman who help people navigate our current systems. I give a big shout out to Shannon Flanagan-Watson and Robert Sharpe who work every day to smooth our bumpy systems issues for our businesses and residents. A shout out, too, to our County Manager, Mark Schwartz, who is always working to improve our government services. Getting better for people, constant improvement, is what we are all about. We’re using technology to connect people better. In fact, my mother is watching this ceremony right now from Wisconsin. Hi Mom! And, it’s not just ceremonies, we now webcast every County Board meeting and work session, and Planning and Transportation Commission meetings, too. We are working to make it so that every commission meeting will be video cast and recorded for people to watch when convenient for them. The ability to watch from afar is a start, but I am focused on the next step: getting feedback from everyone watching who wants to comment because getting good ideas and support from our community is how we can address even the thorniest issues. And one of the thorniest issues we face is making sure people can afford to live here. We spend more of our budget on affordable housing than most, but we only make a dent. Solving this challenge isn’t easy and it will require change, which is always hard. But we can solve this by working together and thinking innovatively to give people more options for living in Arlington…without changing the nature of our community. We need ways to allow more flexibility in our single-family neighborhoods. For example, older residents with empty nests could perhaps rent part of their house to a younger family for a while and get help with finances and home maintenance. Or perhaps two families that can’t afford each to have their own small house can afford to go in together and share a slightly larger home. There are many options and if we do it right, everyone benefits. We will have to work out the details, including zoning and neighborhood concerns, but with a commitment to forging new connections in our neighborhoods and a commitment to working together, I am confident that we can figure this out and be stronger for it. As our School Board knows, we need to change how we educate our children, too. We have excellent schools and they are key to our current success. But our students are not nearly as connected as they could be to our business community and our residents. What if not just some, but almost every student has a robust internship with one of our companies or organizations before graduating from high school? This is what they do in Germany. Our young people have so much to offer and I don’t think we’ve begun to realize their potential to help our community…or our community’s potential to help our students. Of course, our businesses are more than a source of internships: they are a critical part of our successful community. The more entrepreneurs we have, the more others want to start businesses here. We help entrepreneurs get together in a variety of ways and I’ve had the pleasure seeing how our business events keep getting bigger and the energy more positive. It’s exciting. And it’s not only tech companies. Local small businesses, especially, are the heart and soul of our community, and they can grow too. For example, one of our best recent success stories is District Taco, which started as a single food truck in Arlington and now has several restaurants in the DC metro area. Of course one of our biggest connecting challenges is the classic one: transportation. Our transportation network can and must be much better. We’re working on it, but we need to think creatively, and be open to doing things differently. Let’s think about adopting some ideas that already exist in other places: What about monthly or year-long bus passes, so it’s simple for regular riders and they know that they can ride more often without paying more money because they have bought a pass. Of course, since many of our trips extend beyond Arlington, we should work with our neighbors. What if that pass were honored everywhere in the region, on Metro, VRE, bike share, you name it? Figuring out what will work will not be easy, but to connect people across our region better in a way that’s easy, safe, and reliable. We could start here and set the example. I’ve touched on a number of issues this afternoon, but they all come down to a common theme: connection. Technology is great, good government is great, but it is all in the service of connecting people. When people are connected exciting things happen. I really do love this job; I love all the different issues I learn about and the work with my colleagues to help guide how we address those issues, but I always remember that at the center of it are our people. And this gets me back to where I started. We in Arlington are all about good government, coming together to think clearly and solve problems. The classic Arlington Way has served us well, but I challenge us all to find additional ways to connect more efficiently and more broadly to discuss not only the tasks of the moment, but also a range of ideas so we can embrace necessary change. Last week, as a community, we discussed a book called The New Geography of Jobs. I highly recommend it. I’d like to conclude by reading the last few sentences of that book. I know we here will continue to connect and work together to keep up, and build on, that head start, to make a better Arlington, which will help make a better America, and world. I welcome your feedback, ideas, concerns, and friendship across the next four years, and I promise to share mine with you in return. —Heidelberg Pastry Shoppe on Lee Highway.